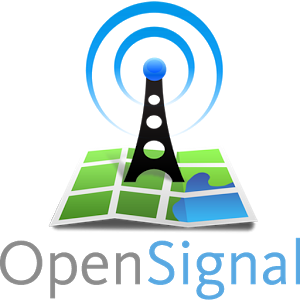 OpenSignal - 3G/4G/WiFi is a very simple tool that behind all configuration screens lies a very simple goal: to improve the signal from your Android device. How to get it ? Very easy. OpenSignal - 3G/4G/WiFi will display a graph of signals. You will be able to see all mobile phone antennas and WiFi routers on a map. In addition, you will have different maps of network coverage around for 2G, 3G and 4G ( LTE) . Aside from that , OpenSignal - 3G/4G/WiFi let you perform a speed test for your Android device. In this way, you will be able to quickly check the download and upload speed you have with your data network. You can easily save all data in a document on a SD card or device memory . OpenSignal - 3G/4G/WiFi is a very simple and easy to use application that will help you get a lot of useful information about your network data tool.